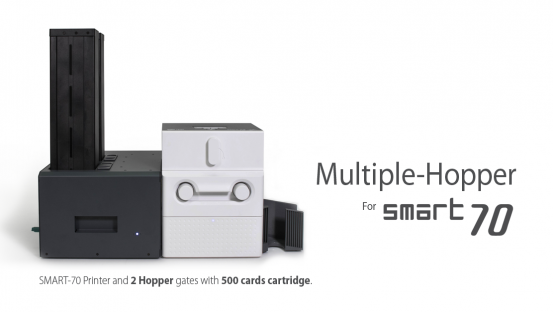 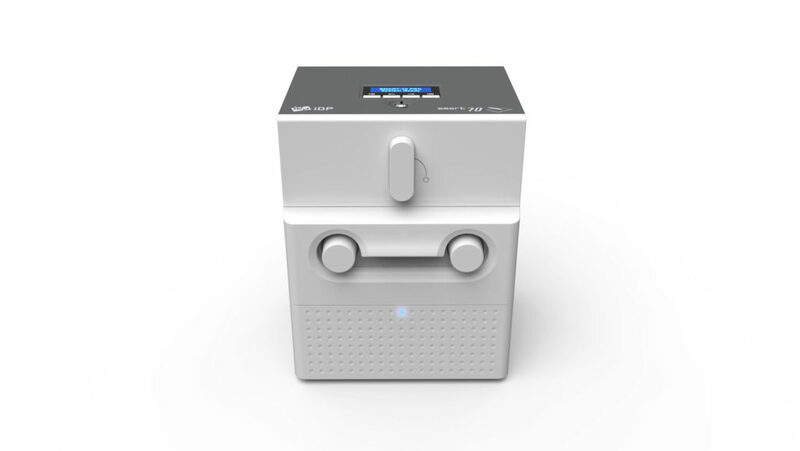 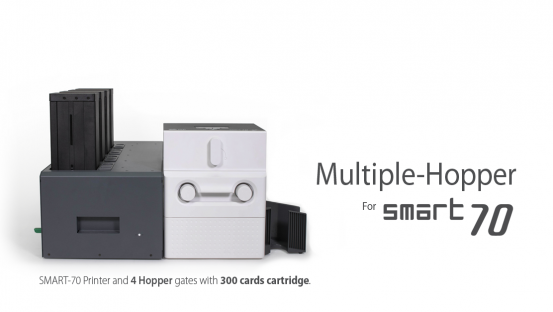 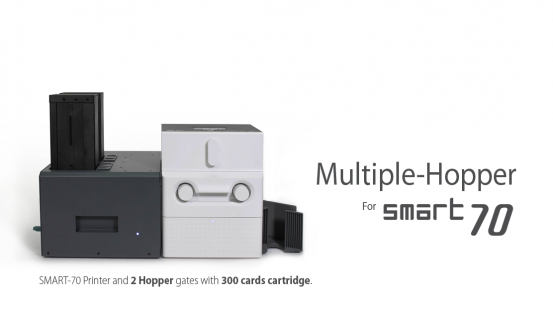 Multiple Hopper system designed to fit the SMART-70 Series. 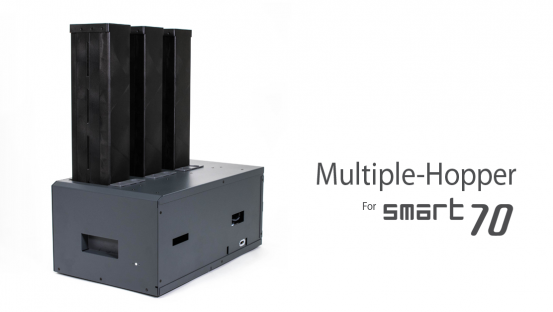 Multiple hopper system for SMART-70 is designed to fit the needs of large capacity with high efficiency for Kiosk operation. 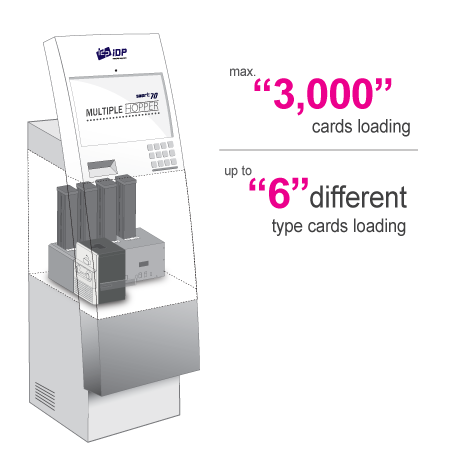 From minimum 2 to maximum 6 large capacity 500 cards hoppers can be used depending on the user environment. 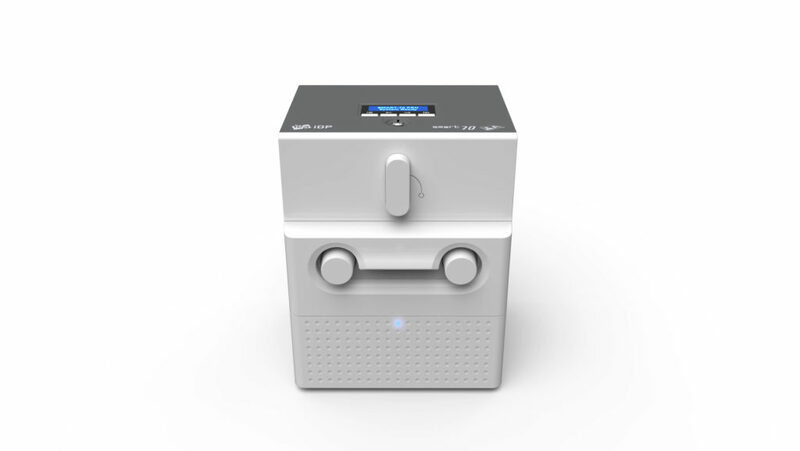 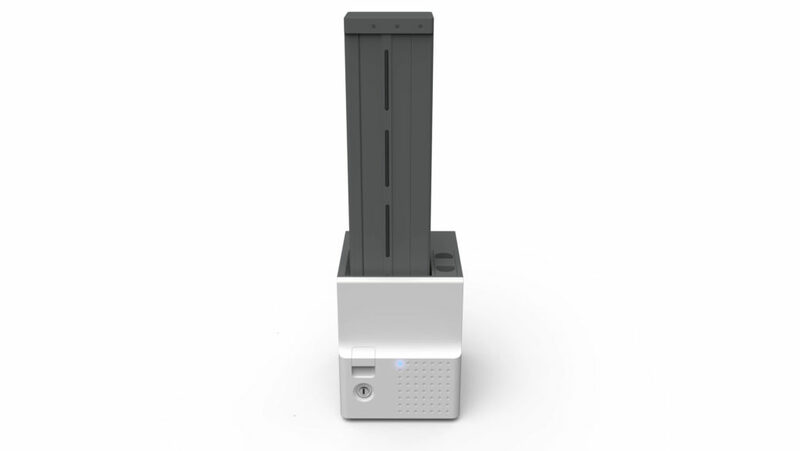 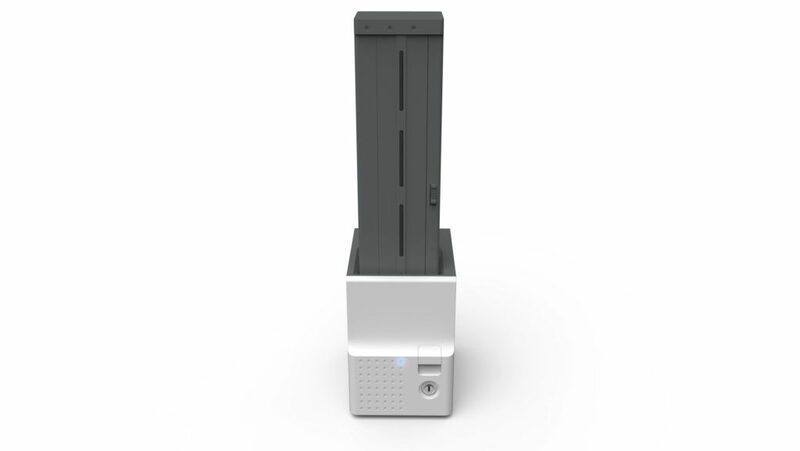 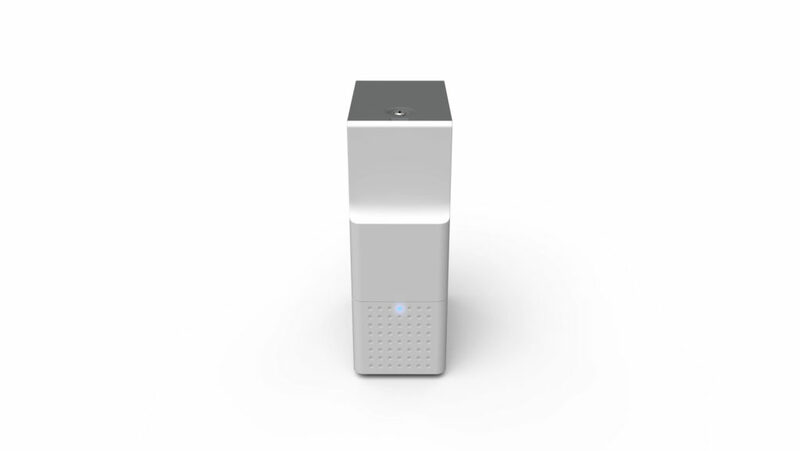 Monochrome ribbon supports up to 3000 prints minimizing maintenance cost and time and up to 3000 cards loadable hoppers with 6 different types on each hopper will maximize the efficiency of Kiosk application. 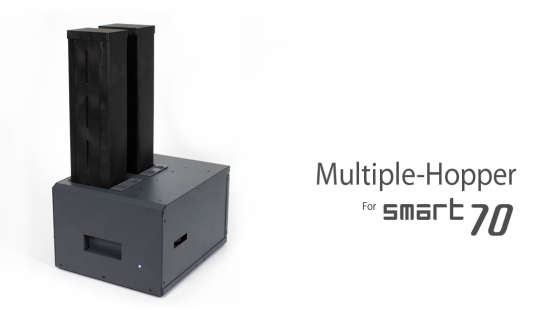 Advantage of SMART-70’s unique full modular design makes it possible to add Encoding module and Laminating module. 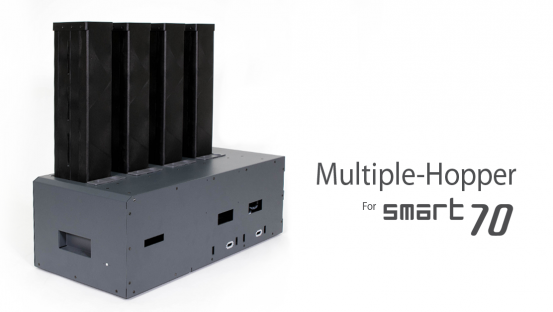 Full metal structure of the multiple hopper system is ideal for high volume issuance environment.